Amazingly I won it – there was one other bidder, had there been no other bidder I would have paid £30. As it was, the shipping was almost 1/3 of the total cost. So, what did I get for my modest outlay ? Pretty much a time capsule. It looks pretty much the same as it did on the day someone emerged from the bicycle shop back in August 1984. 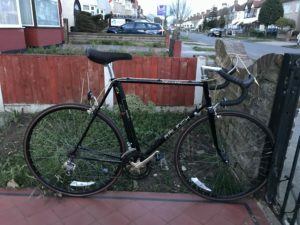 The seat has some storage damage and is cracking underneath, the handlebar tape was crumbling, the tyres and tubes were dry and cracking and the chain was in desperate need of some lube. 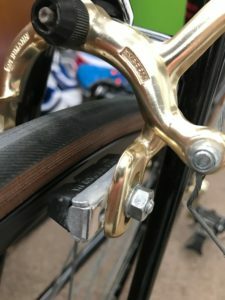 So I swapped the tyres with some lovely Continental Grand Prix ‘Classics’, nice modern tubes went in, my favourite Cinelli cork bar tape was carefully applied and the chain got a good clean and oil. It was in the state that I rode it around it around the block. It was wonderful. 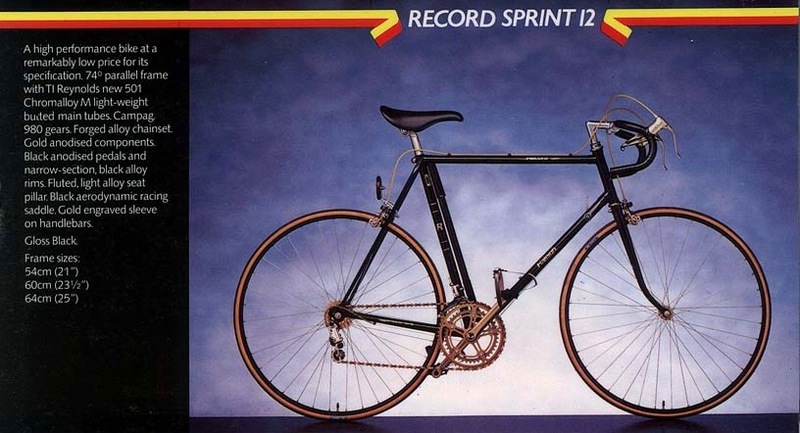 It rode just how I remember, agile but comfortable. Following that brief ride I made a new list…..
After a lot of thought these little upgrades will be in keeping with the bike, there is no big restomod needed here. I found a 1988 Campagnolo Aero seat post to complement it. A set of New Old Stock (NOS) Shimano Golden Arrow shifters will replace the plasticky Suntours. Clarkes cables will replace the stiff originals. In other words, gentle improvements. 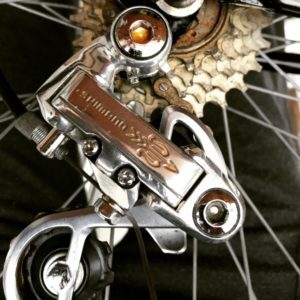 I may replace the chain, it is a tad stiff in places and I’d love to find a Shimano Golden Arrow (braze-on) front shifter to match the rear item, but these are apparently super rare. I am very happy with it, even if it is not a Mark1, the Mark2 had a better frame remember….. I am looking forwards to putting a lot of miles on this thing…..
Americans and their Guns….. Four Years since my crash.